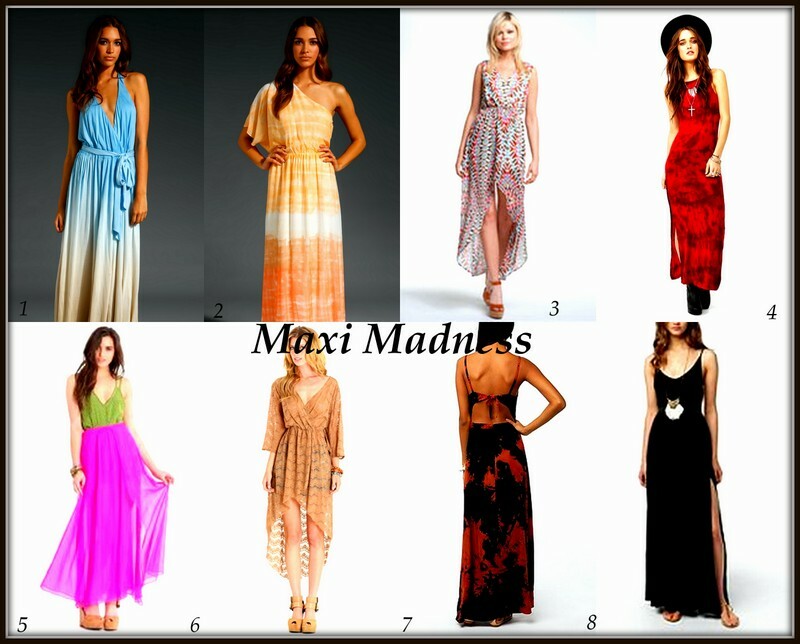 I’m absolutey loving Maxi dresses this season.They are just so effortless ,yet they still look pulled together. Over the years, the Maxi dress has been reinvented showcasing different fabrics, colors and cuts.The options are endless with this trend! You can wear it during the day with flats, or sandals along with some chic sunnies and you are good to go. If you are looking for a night ensemble, pair your favorite maxi with some sky high pumps, or wedges along with an oversized clutch for a dramatic, yet chic effect. Just make sure the length of the dress is right for your height.Check out some favorite and some more affordable options below! also check out the silence and noise cleopatra knit maxi dress @ urban! I know I sadly have not posted in forever, but now I’m Back! One trend that I’m loving right now, is the MINT green trend! I mentioned this color in my pastels post, but clearly, i cannot get enough! This trend has made a huge impact, not only in the fashion world, but also beauty.I think the color is truly gorgeous and refreshing, while also really adding a POP to any outfit. There are so many options and ways to wear the mint trend! I’m loving so many mint green accessories, nail polishes, makeup palettes and of course fashion pieces! Check out my favorites below, hope you enjoy!